Ina Garten's/Barefoot Contessa's recipe. 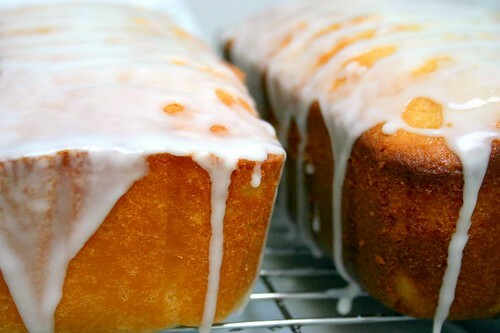 Basically, lemon pound cake wth a ton of zest, basted with lemon juice and sugar, and then glazed wtih lemon juice and sugar. Not redundant at all, non?